The highlight of my day was a cool washcloth that Mama brought me when I was throwing up water all morning. It was a rough day. 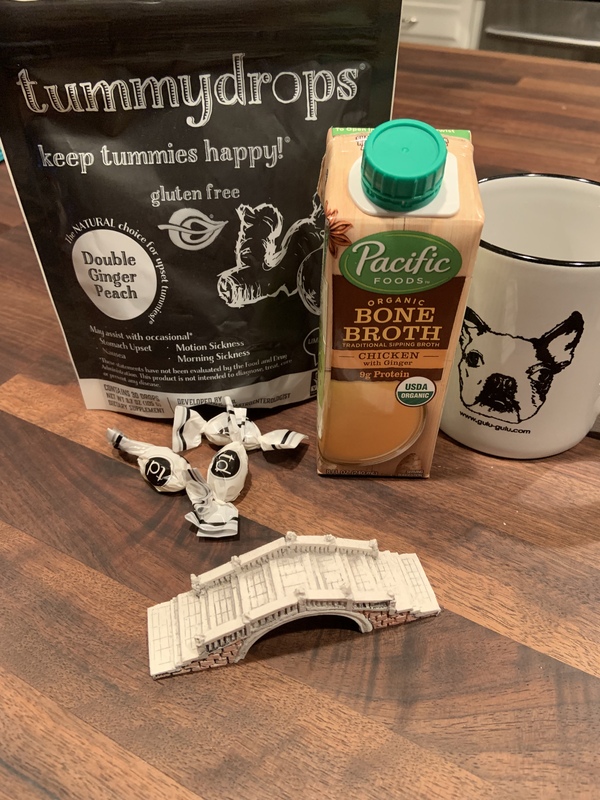 When I finally managed to get up this evening, I found my way back to solid food with the help of ginger pear “tummydrops” and a mug of chicken ginger bone broth. Today’s #OneGoodThing was a bridge back to solids and a cool washcloth from Mama! What was your #OneGoodThing today? Please share in the comments! Day 33 of 365. And Day 1,129 in a row (here’s the first 366, & the following 365, & the third year of 365 good things)! 3 years ago today: Great mail! Thanks, Lys! Sunday was a little better than Saturday, and today a little better as well.